USDA label rule lets multinational corporations mislead consumers. WORC and its members support the proposed changes in the petition. We feel the FSIS Food Standards and Labeling Policy Book should state that products may bear the phrase “Product of the U.S.A” only if “it can be determined that significant ingredients having a bearing on consumer preference, such as meat, vegetables, fruits, dairy products, etc., are of domestic origin (minor ingredients such as spices or flavorings are not included)” as proposed. In fact, WORC has fought for decades to go a step further and implement mandatory Country of Origin Labeling for food products, including beef and pork. To the petition at hand, we believe these changes are in the public interest. But moreover, the current labeling rules lead to a conflict of federal law regarding false or misleading labels on meat products. In light of this, the rule must be changed in order to comply with the governing statute. I. Federal law commands that no person, firm, or corporation may sell animal products for human consumption under a label that is false or misleading. If a regulation creates an opportunity for a false or misleading label to exist, that regulation must be invalidated, for the Secretary’s action in promulgating such a regulation would be in excess of their authority. This was reasoned in Federation of Homemakers v. Butz 466 F.2d 462 (1972). In Federation of Homemakers, the D.C. Circuit Court of Appeals upheld a district court summary judgement that found misleading a label that read “All Meat” on frankfurters consisted of only 85% meat. Federation of Homemakers, which has been cited as good law in several dozen cases since, invalidated the “All Meat” labeling rule on two grounds. First, the Court noted that at least two types of frankfurters were common — those made of 81.5% meat, and those made of 85% meat. However, only the frankfurters consisting of 85% meat could carry the “All Meat” label. The Court objected to this distinction between the two percentages as arbitrary. Second — and critical on the issue of “Product of the U.S.A.” beef labeling — the Court also considered what the common meaning of the term “All Meat” means “in a label intended for the ordinary consumer.” Further, it rejected the insistence by USDA that the term “convey the kind of technical and esoteric message that the Secretary finds in them.” Id at 465. We have conditioned the ordinary American consumer to believe that Florida oranges are grown in Florida, that California almonds fall from California trees, and that Idaho potatoes are unearthed from Idaho soil in the actual state of Idaho. Seven years later, the D.C. Circuit built upon Federation of Homemakers when it upheld a summary judgment for plaintiffs that successfully overturned a government rule allowing a bottle of wine labeled as “Chardonnay” to contain merely 75% wine from Chardonnay grapes. See Wawszkiewicz v. Department of the Treasury, 480 F. Supp. 739 (1979). In Wawszkiewicz, the court found that “the Secretary’s labeling regulations prohibit false, misleading, or deceptive statements. The statutory language is clear and direct.” Id. at 743. Do not employ terms that would mislead the average consumer given the terms’ ordinary meaning. This is where the current rules governing “Product of the U.S.A.” labeling go wrong. II. The “Product of the U.S.A.” label rule creates false or misleading labels, and is counter to the public interest, and therefore it must be amended or invalidated, per U.S. law. A. The current rule creates labels that mislead ordinary consumers by conflating the ordinary meaning of the words “Product of the U.S.A.” as it appears on beef packaging. The term “Product of the U.S.A.” means one thing to ordinary consumers and something completely different to the meatpacking industry. To industry, “Product of the U.S.A.” beef includes calves born, raised and slaughtered in places as far away as Australia or South America. To industry, “Product of the U.S.A.” beef includes frozen beef carcases shipped across the Pacific or chilled carcasses hauled up the Gulf of Mexico, where they’re then inspected and turned into cuts and packaged. But, to the ordinary consumer, “Product of the U.S.A.” beef means beef that is born, raised, and slaughtered in the United States. American consumers are surrounded by origin labels in their local grocer, and they are conditioned on the notion that when something says it’s from somewhere, there’s no qualification needed as to how much it’s from somewhere. We have conditioned the ordinary American consumer to believe that Florida oranges are grown in Florida, that California almonds fall from California trees, and that Idaho potatoes are unearthed from Idaho soil in the actual state of Idaho. Given that our members and organizational leaders are ranchers and farmers, WORC understands that there’s more steps involved in harvesting animal products than in harvesting a vegetable. But, we maintain, the ordinary consumer reasonably believes that “Wisconsin cheese” comes from Wisconsin cows. We also note that Irish dairy products, made from the milk of Irish cows in Ireland, are sold in the United States and bear the label “Pure Irish Butter” or “Imported from Ireland,” even though those companies operate packaging plants in the United States and other non-Irish countries. to the ordinary consumer, “Product of the U.S.A.” beef means beef that is born, raised, and slaughtered in the United States. Moreover, other imported foods are inspected upon entry into the United States, but the geographic point of inspection doesn’t change the labeling on things like Mexican avocados, or Canadian maple syrup. Taken in sum, it’s reasonable to conclude that ordinary consumers believe when a place of origin is listed on a food product, that means the label of origin refers specifically to where the major ingredients were created — not where they were processed, or packaged, or inspected. Put another way, people believe origin labels refer to the source of the ingredients, not the source of the packaging. The ordinary meaning of “Product of the U.S.A.” beef is beef that was born, raised, and finished in the United States. Inclusion of imported cuts of meat under this label is inherently misleading to the ordinary consumer, and violates both the statute and the established case law, and the rule must be amended to become compliant. B. 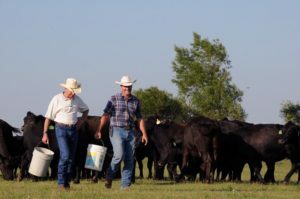 The current rule creates policy that runs counter to the public interest by harming American ranchers, and by confusing ordinary American consumers. 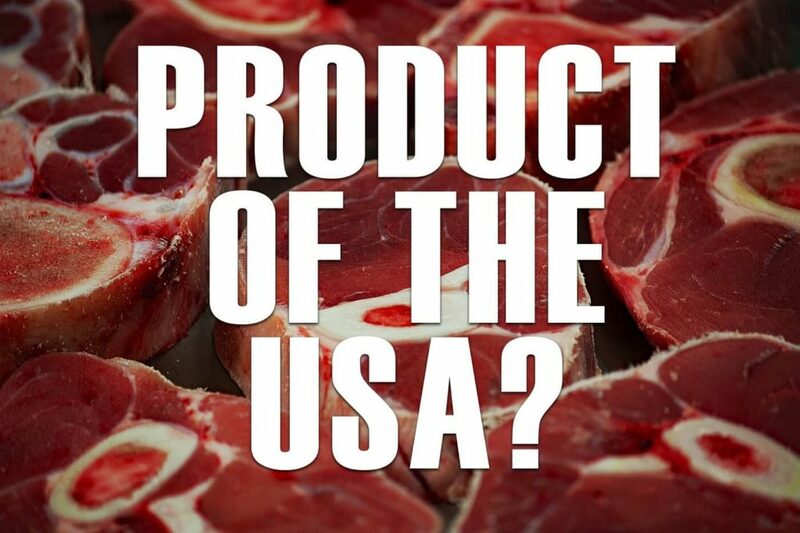 The current policy that allows for imported beef, raised and slaughtered abroad, but processed in the U.S. to be labeled “Product of the U.S.A.” harms American producers and consumers alike. It allows foreign producers to market their products as American-made, denying U.S. ranchers a significant piece of the burgeoning U.S. market for local grass-fed beef. Some of these same foreign producers — Australian ranchers, for example — enjoy Country of Origin Labeling laws within their own borders. 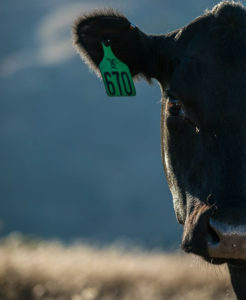 This allows producers in those countries to reap favorably discriminate pricing at home, and in turn they can also pocket a local preference premium in the United States from consumers who erringly think that when they pay for “Product of the U.S.A.” beef that means they’ve spent money on cattle raised and slaughtered in the U.S. Globalization and free trade policies have led to a generation of stiff competition for American ag producers. The average U.S. farmer operates at a net loss. We’re seeing ranchers and farmers leave the business, sell their land to developers, with very few young producers rising to take their place. 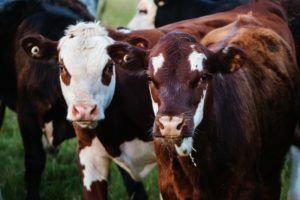 However, there is a growing, unmet demand — both domestically and abroad — for high-quality agriculture products like grass-fed beef. U.S. producers, thanks to geography, are chiefly situated to take advantage of these markets. Unfortunately, they’re being undercut at home by deceptively labeled foreign imports. An estimated 70-80 percent of grass-fed beef found in American groceries is imported. This is a stark turnaround from the era of federal mandatory Country of Origin Labeling law (COOL). In 2014, prior to the repeal of American COOL, U.S. producers enjoyed 60 percent of the value of the domestic grass-fed market. By 2017, just two years after repeal, that share fell to 20-25 percent, according to the Stone Barns Center. USDA must act now to protect American ranchers from deceptively labeled foreign beef. On the consumer side, it is well settled that people want to know where their food comes from. A 2010 Consumer Reports poll found that 93 percent of Americans want to know the country of origin of their meat. Further, a 2016 survey found that 74 percent even want to know the state of origin of their food. At the very least, when the package tells them they’ve bought a “Product of the U.S.A.,” they deserve the assurance that the true origin of the major ingredients in the package originated in the U.S., from the labor of American producers. Such is not the case under the current rule, and USDA must act now in order to protect the public interest of U.S. consumers. III. USDA must amend the rule per the petition’s suggested edits in order to comply with U.S. laws and in order to protect the public interest. As it stands, the rule governing “Product of the U.S.A.” beef would be invalid if challenged in federal court because it creates labels that are inherently misleading and counter to the public interest. That violates U.S. law, and per well-established jurisprudence on the role of federal regulations, requires the rule be changed. By adopting the petition’s suggested amendments to the rule, USDA can ensure compliance with the authorizing statute and well-settled D.C. Circuit stance on this issue. Moreover, by employing these corrections, USDA can champion the rights of consumer and producer alike, and further the public interest in clear, transparent, and non-misleading origin labels.